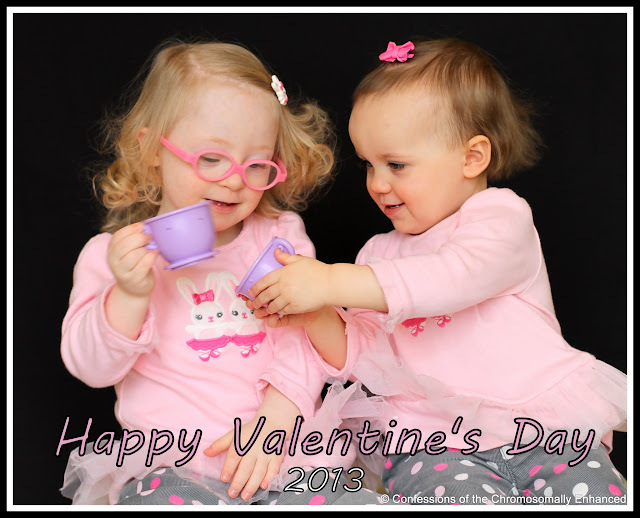 Valentine's Day 2013 was a genuine celebration of love and family as the girls were reunited with their Dad, who had been away on a particularly lengthy business trip to Germany. We Skyped and talked on the phone every day while he was gone but that's no substitute for having Dad right here with us. Dad never returns from a trip empty-handed and today was no exception. While Dad was disappointed that his pursuit of a singing animal turned up dry, the girls were delighted with the Band-Aids and bubbles that he returned with. Very few things thrill Josie as much as bubbles. The girls weren't the only ones who got gifts. Dad brought back a beautiful scarf and some German wine for mom, and some candy for Aunt Leanne, which Merryn immediately tried to swipe. Did you notice what my sister intends to give my mom for Valentine's Day? Reminds me of my mom's birthday a couple of years ago (click here). Likewise, Leanne insisted on getting me Starbucks for my birthday, and she kept saying "my treat". But guess who conveniently forgot her wallet once we got there! Oh Leanne! You are a trip! 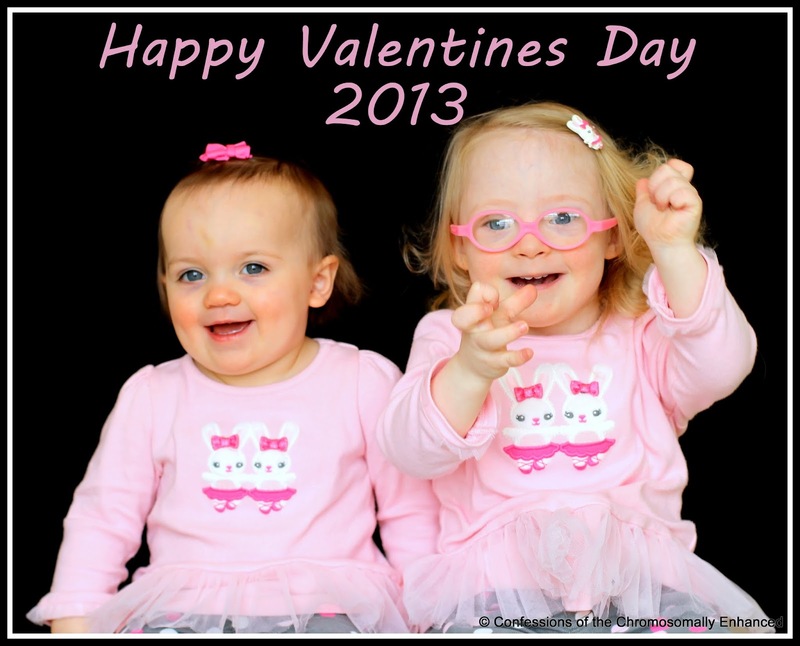 Here's wishing you a Valentine's Day filled with all of the love, chocolate, and cheesiness that one holiday can hold! <3 to you all! Glad Dad is back with the family. LOVING Josie's curls, and Merryn's such a big girl now! Simply adorable! Thank you for sharing your precious family, I enjoy following along (one of my favorite blogs). Have a blessed weekend. Glad Travis made it home for Valentines. Love Josie's curls! I just love seeing pictures of your girls together! What a gift they are to each other! :) Good luck with the move! Your girls are absolutely adorable!! And Leanne is a hoot!